“The sea no longer has resources for all, we are too many people…” “…we are catching more than we should”. This statement was heard by fishermen from San Felipe, a small fishing village on the Yucatan coast of Mexico. However, these are words that are all too familiar for anyone with connections to small-scale fisheries. This raises the question of what will it take to ensure sustainable small-scale fisheries? How do we achieve a good and meaningful future in small-scale fishing that provides opportunities along a range of dimensions, which include family and community, and all the freedoms that are associated with a good life? 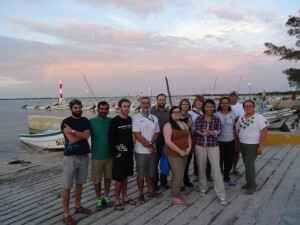 A group of TBTI researchers, all part of the TBTI Transdisciplinary Fisheries research cluster, met in Merida, Mexico between March 7th to 11th, 2016 for a transdisciplinary course development workshop. The workshop was done within the Transdisciplinary cluster as part of the activities focused on developing content for the transdisciplinary training program. The training program is meant to give researchers, fishers, local communities, and government representatives an opportunity to use multiple perspectives to delineate conflicts and tradeoffs in small-scale fisheries and to apply a system approach to effectively examine the complexity of fisheries. Transdisciplinarity is an integrative perspective and approach to problem-solving, which transcends disciplinary boundaries. By integrating different disciplinary perspectives, philosophies, theories, practices, and tools, it creates a deeper understanding of issues and the ways in which new integrative and iterative approaches can be used to think outside of the box and to help solve problems in small-scale fisheries. During the five-day worksh op in Merida, collaborators shared their ideas and experiences in order to contribute to the bigger picture of the transdisciplinary training program. 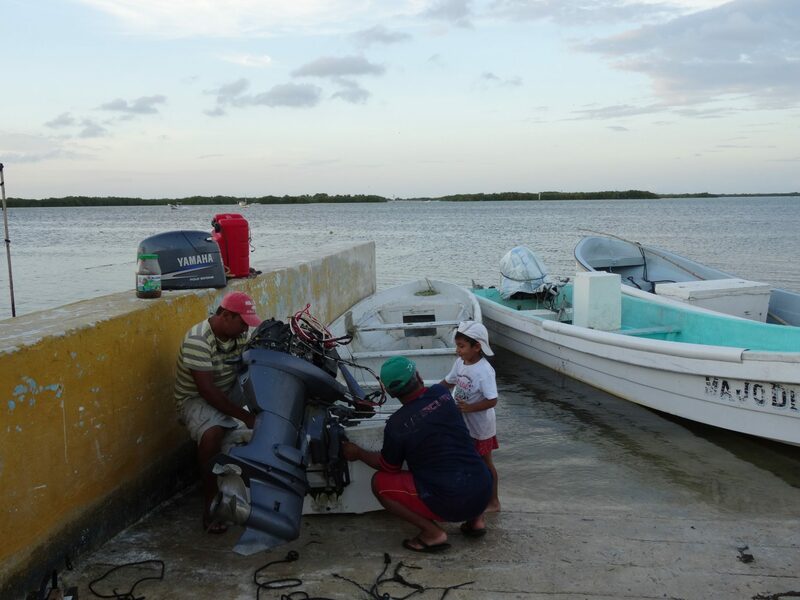 In addition, they had the opportunity to visit Rio Lagartos and San Felipe, two small fishing villages on the coast of the Yucatan. 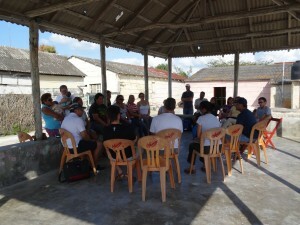 During this two-day field trip, the group met with fishermen and fisherwomen to learn about their experiences and find out what they consider as important problems or important research areas. The next steps of the training program creation will include a review of the materials and course testing, latter of which will take place is January 2017.